South Asia Pakistan Terminals (SAPT) is looking for “Receptionist”. The candidate must possess Bachelor’s degree with at least 2 to 3 years of experience in front desk. Interested candidate may forward their CV at iftikhar.hassan@sapt.com.pk CC jobs@sapt.com.pk Please mention the position title in subject line of your mail. Shortlisted candidates will be invited for interview. At least 7-8 years in sales (Preferably IT industry) Telecom also be considerable. Marketing Total Solution (MTS) urgently needs 20 male supervisors salary Rs.28,000/- and 50 females for sales promotion salary 21,000/- with pick n drop. 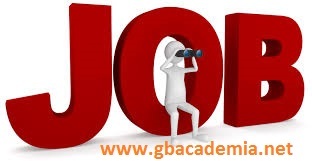 ACCOUNTANT REQUIRED WITH COMPLETE KNOWLEDGE AND ABILITY TO MAINTAIN SALES TAX AND OTHER FINANCES OF A GROUP OF COMPANIES. ATLEAST 5 YEARS EXPERIENCE IN THE RELEVANT FIELD IS MUST. PART TIME/ FULL TIME CANDIDATE CAN ALSO BE CONSIDERED WITH GOOD SALARY PACKAGE. A reputable textile company at landhi is urgently Looking for Purchase Asst/officer. Memons only. Company Transport Available. Subsidized Lunch facility. Send Resume at financejobs@live.com by 15 jan 2018.